What’s on: DJ Pepelz takes over the decks at Toy Room’s new home in Soho Garden on Thursday. For reservations, call +971 52 463 3338. What’s on: Inner City Zoo is hosting its urban night Naughty by Nature with DJ Hains on the decks playing the best of hip-hop and R7B. For reservations, call +971 58 867 5357. What’s on: Enjoy the sounds of House, Deep Tech and Garage at Armani/Prive on Friday, with a complimentary open bar for ladies between 11pm and 1am. For reservations, call +971 56 681 7106. 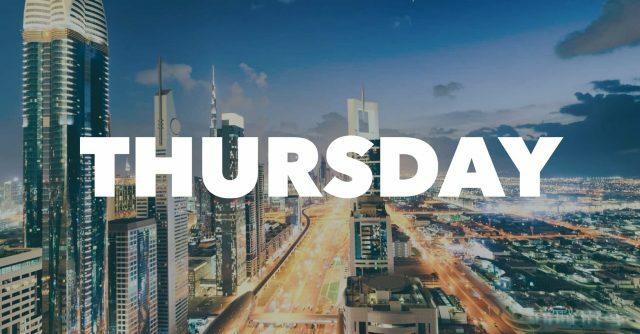 What’s on: Party DXB is hosting I Love 80s on Thursday at Sho Cho, with DJ Monoi spinning the classics of the 80’s and 90’s. Entry is free alongside a 25% discount on all bills and happy hour from 6pm-9pm. For reservations, call 04 346 1111. What’s on: ‘Thursdays at Soho’ returns with award-winning duo Jixo & Danz alongside Jean B this week. For reservations, call +971 52 388 8849. What’s on: It’s Limewire Sessions with 1 Take Nnandos at 1 OAK on Friday from 11pm onwards. For reservations, call +971 52 881 8888. What’s on: Doctor Dru and Upercent are headlining El Chiringuito on Friday, with entry at AED 100 after 5pm. For reservations, call +971 54 449 6464. 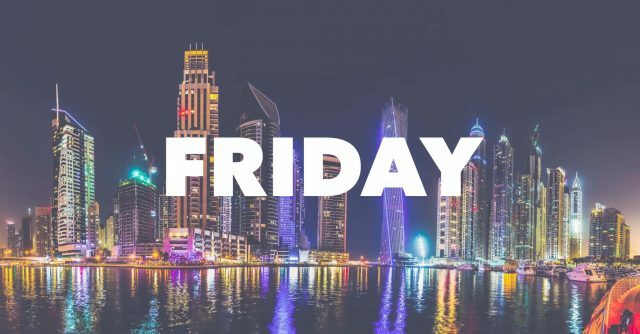 What’s on: Friday night at Mahiki kicks off with Music Bingo from 7pm to 10pm hosted by Dane Bowers, with music trivia and an evening brunch for AED 299, followed by party vibes until late. 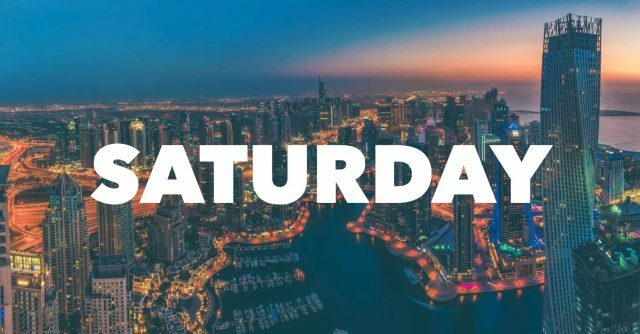 What’s on: DoubleTree by Hilton Dubai Jumeirah Beach is hosting a Friday pool party with free access to the infinity pool from 2pm, with DJ Monoi on the decks. For reservations, call +971 55 166 8092 | +971 58 260 9761. What’s on: Come down for hip hop and R&B tracks with DJ Rony Booz for a World Cup after-party at XL Dubai. For reservations, call +971 52 6341040. 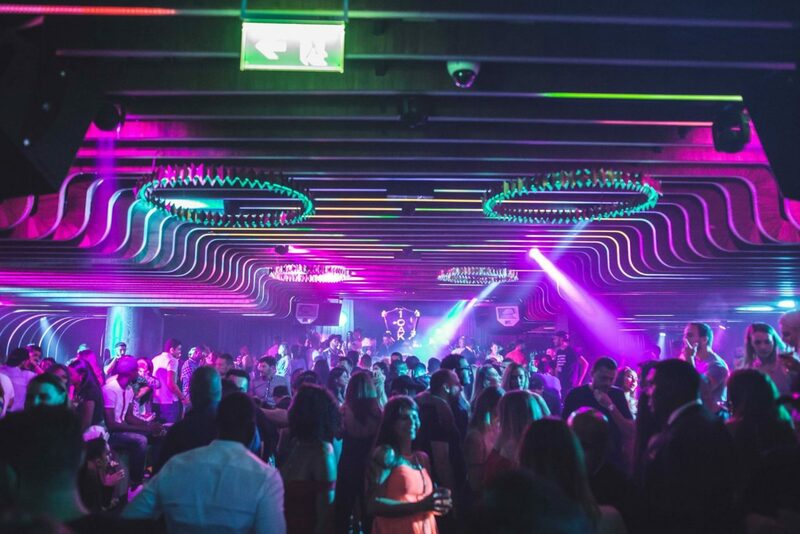 What’s on: It’s urban night at BOA on Friday with DJ Bliss taking over the decks. For reservations, call +971 56 5012039. What’s on: DJ Melissa Reeves and DJ Sean Rutherford are playing On42 tonight with House and UK Garage in the mix. Ladies get free entry all night with free entry for gents until midnight. For reservations, call +971 50 118 3785. What’s on: DJ Flippside takes over the decks at Toy Room on Friday. For reservations, call +971 52 463 3338. What’s on: Zero Gravity is hosting a Tropical Brunch on Friday with unlimited food & beverages from 1pm-5pm and all-day pool/beach access from 10am. Cost is AED 295 for ladies / AED 345 gents. For reservations, call +971 55 500 9111 / 04 399 0009. What’s on: It’s Mamacita ladies’ night at Sensation Club on Saturday with DJ Diego playing the best of Reggaeton, Latin and Urban. Complimentary bevvies for ladies till 1am. For reservations, call +971 50 911 06 00. What’s on: Weslodge goes vinyl with DJ Rich E on Saturday and happy hour is an all-nighter with 2 for 1 drinks. For reservations, call +971 4 560 1700.
previous7 Ladies' Nights in Dubai — For Every Day of the Week!